This item was brought to my attention by Jay Lombard of Dog Habitat. 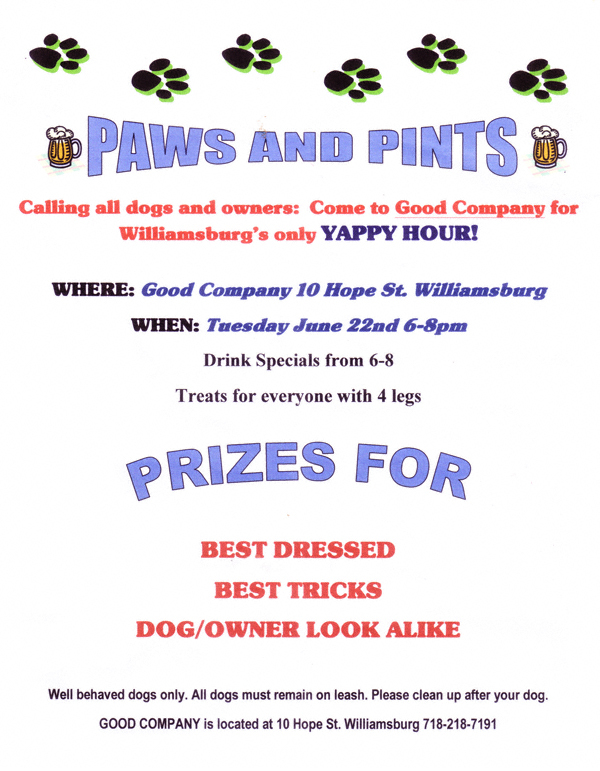 Tuesday, June 22, starting at 6:00 p.m. the folks at Good Company will be hosting Paws & Pints, Williamsburg’s first and only “Yappy Hour”. Drink specials, doggie treats and prizes for “Best Dressed”, “Best Trick” and “Dog/Owner Look Alike” are promised. Check it out! June 22, 2010 6:00 – 8:00 p.m.